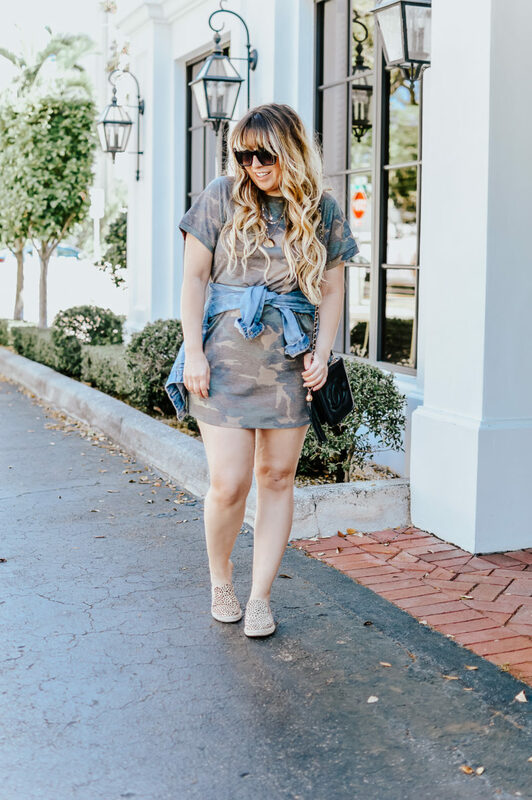 You know the deal– I’m a dress girl, through and through. I do love a great pair of jeans, but I feel most comfortable in a dress. 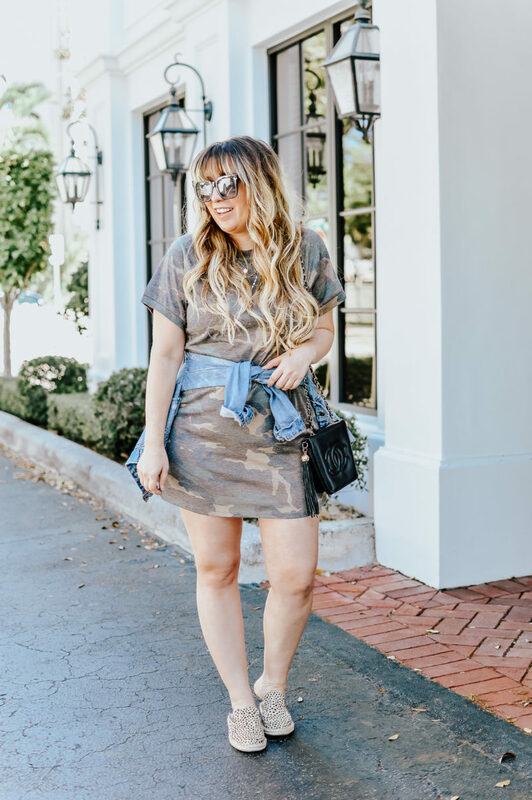 If you’re a longtime reader, you know that t shirt dresses in particular are a passion of mine. I just love them as an everyday staple. Jeans aren’t the most comfortable, in my opinion. 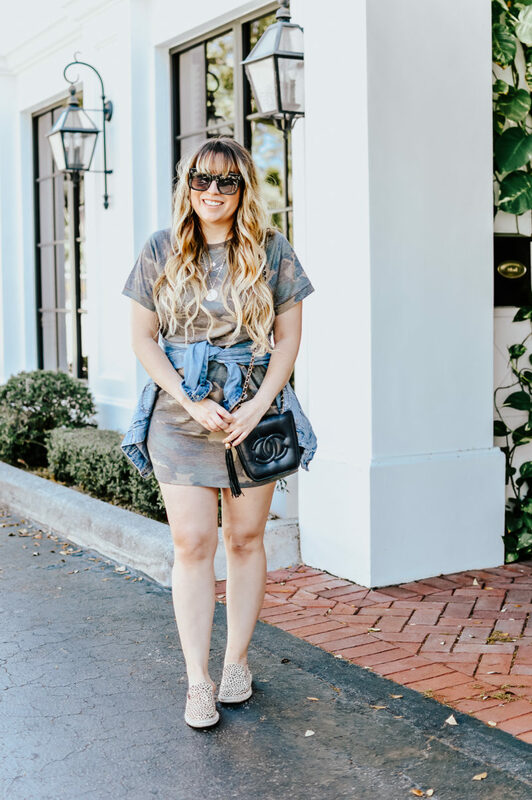 I’d much prefer to run around in a comfy little dress and sneakers or sandals. 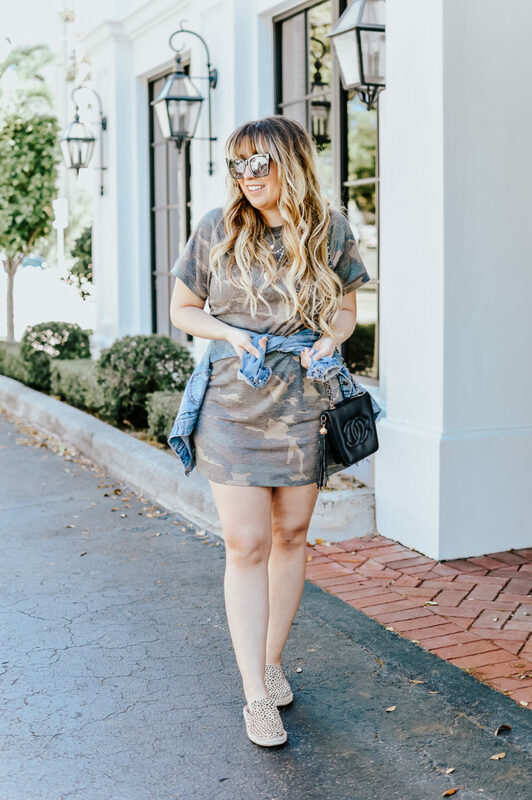 I love that a great t shirt dress can be easily dressed up or dressed down. 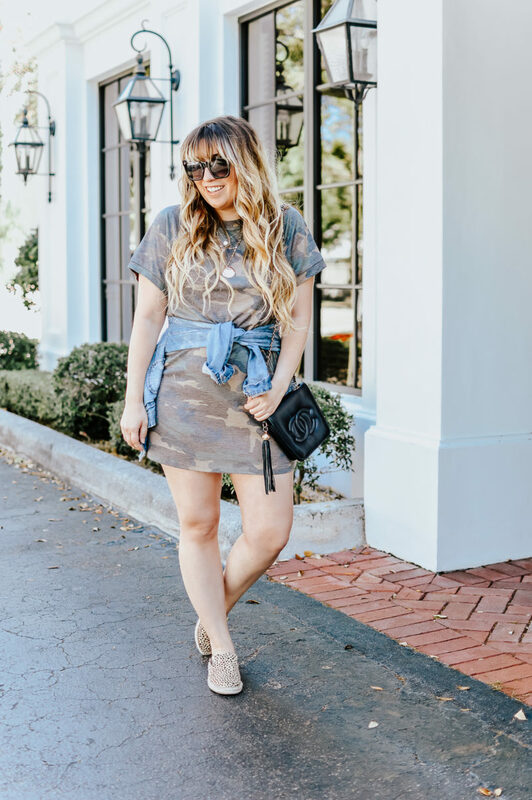 There are so many options to how you can style it, and really… you just look put together in a dress. 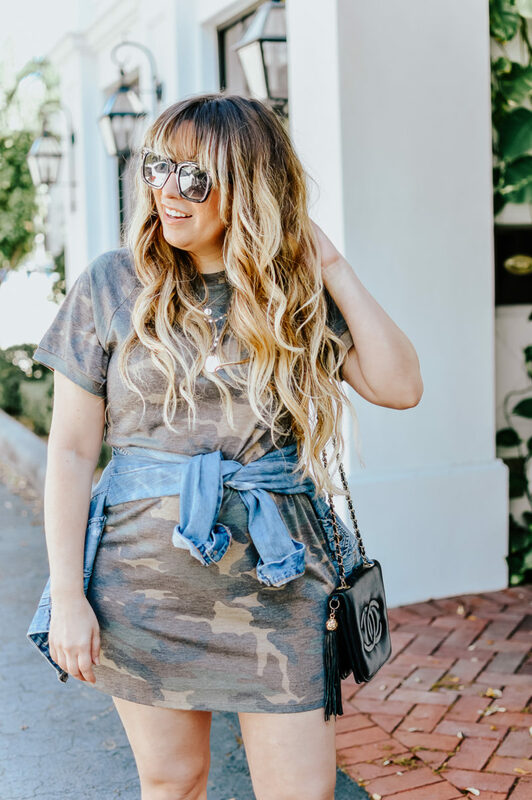 For a refresher on a few of my favorite t shirt dress outfits, you can check out this post or this post! 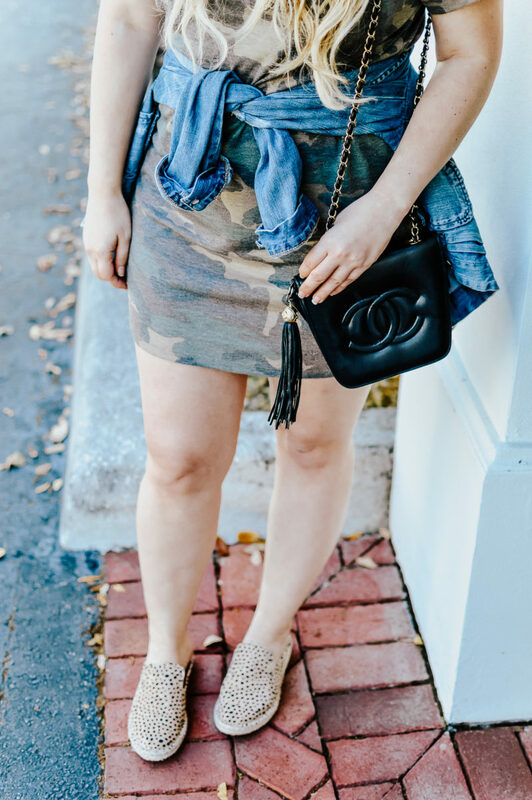 I’ve been on the hunt for a faded camo piece and when I spotted this dress in stores for only $12.90, I snapped it up immediately. It’s super soft and worn in, which gives it a great, lived-in look. 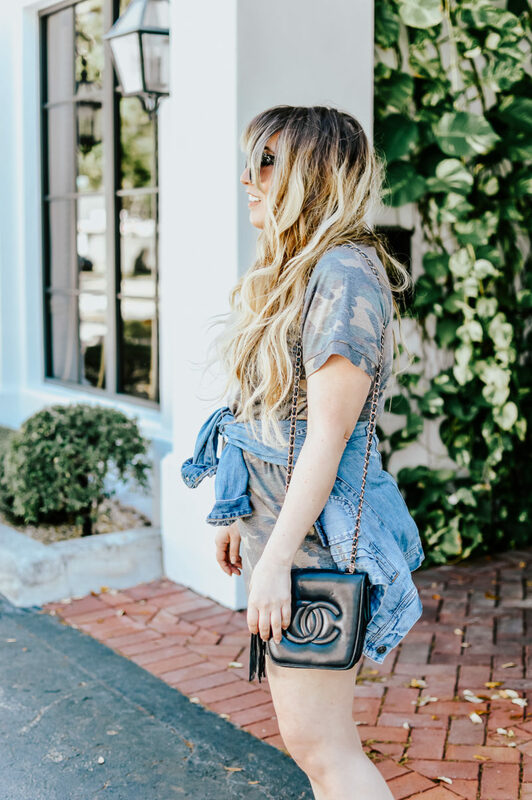 This outfit has become my unofficial uniform for running errands or running around town. I always throw on a jean jacket, because Miami a/c is legit. Anytime you go into a store or restaurant, it’s freezing! 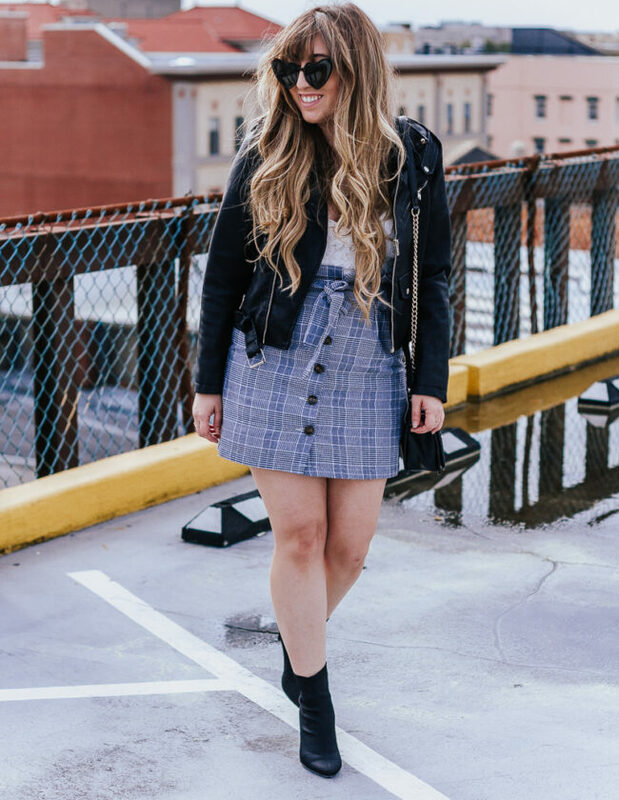 I like to have a cardigan or jean jacket with me at all times, because you never know when you’ll need it! Thanks so much for reading! Hope you are having a great week! 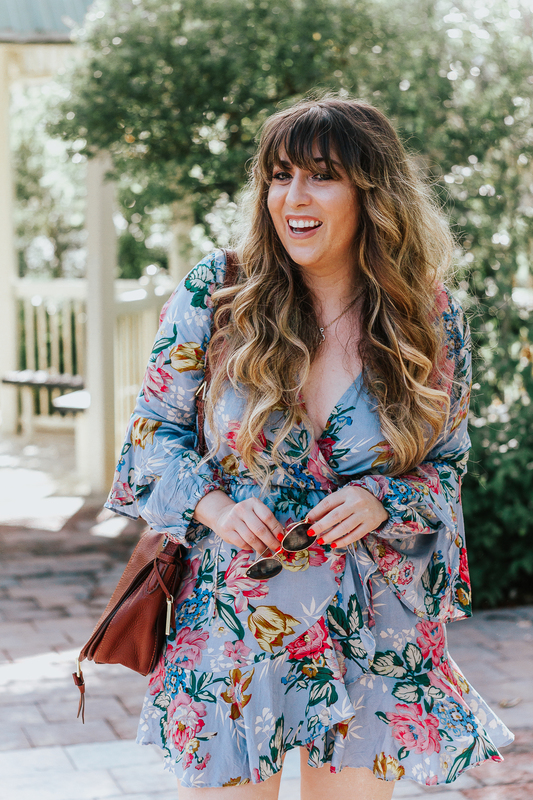 A question– what’s your go-to dress style? 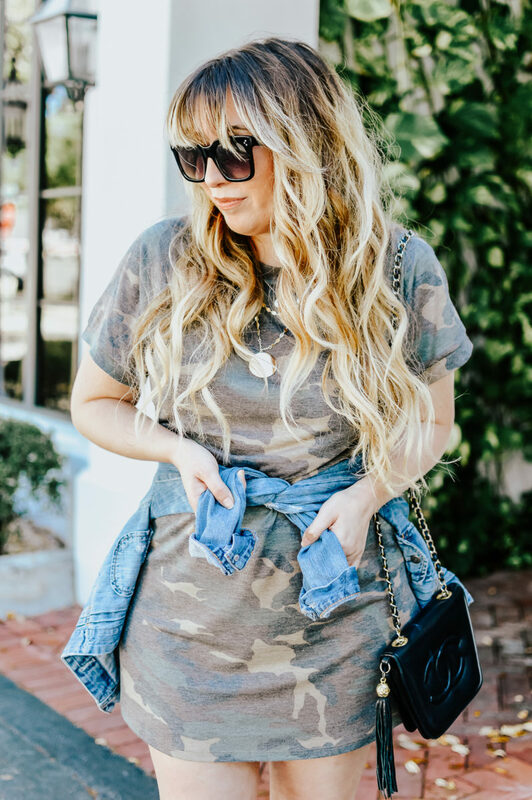 Do you prefer easy dresses to jeans, or are you a jeans girl? Let me know in the comments!